Barcelona Experience is led by our founder, Gaston Magriñat, a lifelong traveler and adventurer who settled in Barcelona more than 15 years ago. He is married and has a son and a daughter. J.R. Duren is our copywriter and social media manager. He’s also married and has one daughter. We use a small team of expert guides from all around the world – Chile, Uruguay, Iran, France, Spain and more. We’ve traveled the world, but we don’t claim to be world travelers — we leave that to the legions of world travelers in travel blogging world. We’re a tight-knit team who loves diversity and ingenuity. We sharpen the ability of our tour guides, bloggers and writers to accurately and passionately express the cultural pulse of Barcelona’s storied past and bright future. Our blog is designed to give you an insider’s view into aspects of Barcelona’s culture that you don’t get on our main website, www.barcelonaexperience.com. 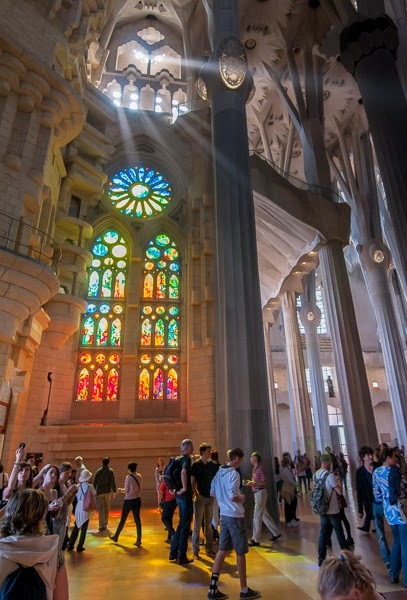 While our business site gives you valuable information about our private tour and shore excursions services and some of Barcelona’s famous sites (Sagrada Familia, Park Guell, La Pedrera) and it’s famous people, it doesn’t cover Barcelona’s restaurants, hotels, travel tips or other aspects of Barcelona’s culture. That’s why we blog: to give you a comprehensive Barcelona experience. We write about Barcelona’s Michelin-starred, fine-dining locations and its network of luxury hotels.We also cover travel tips, like how to handle pickpockets or which streets are must-visits, and gems of culture like Barcelona’s Feria de Abril. We want you to come to our blog to discover new ideas and confirm what we already know: Barcelona is a magnificent city with top-flight fine dining, luxury hotels and a host of cultural nuances that will make your visit an unforgettable experience.